Here at World Surgery Forum (Contact Us and World Surgery Forum Facebook Page), we get lots of queries regarding the advantages and disadvantages of doing MRCS and whether it is worth investing money in appearing for MRCS. Discounted rates with partner hotels and commercial outlets including Hilton Worldwide. Discounted rates on products and services with Lifestyle Rewards. Many of the above advantages are irrelevant for a foreign medical graduate. Below we are listing down few apparent advantages and disadvantages of doing MRCS which are more relevant to a FMG. Earning MRCS entitles you to add an MRCS (Edinburgh/Glasgow/England/Ireland) to your post nominals along with MS/MBBS. It is internationally recognized and passing this exams gives an indication to your patients and employers about quality and level of your basic surgical knowledge and communication skills. After clearing MRCS along with IELTS you are eligible to apply for GMC (UK) registration. 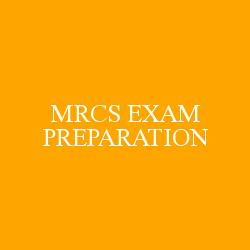 This is the only guide you need to pass the MRCS Part B OSCE examination. This unique two-volume set includes comprehensive revision notes on all the areas covered in the exam, numerous practice scenarios with model answers in the format they would be encountered in the exam, and essential exam technique tips. Written by a team of editors and authors with extensive experience of the exam and all the recent changes, it broaches topics that can often trip up the candidate, including communication and history-taking skills. Revision is aided by a multitude of images and illustrations, as well as boxes highlighting clinical tips and exam hints. Volume 1 covers basic surgical skills, including peri-operative care, as well as patient safety, history-taking, communication skills, applied surgical sciences and critical care. Volume 2 addresses the stations that exam the four specialty areas: Trunk and Torso; Limbs and Spine; Head and Neck, and Neuroscience. It covers the anatomy, physiology and pathology in each of these four speciality areas along with detailed clinical exam scenarios and a bank of likely clinical questions and model answers. MRCS is not a specialist qualification. You cannot practice surgery after doing just MRCS after MBBS. In the UK it just means that you are qualified to enter surgical specialist training. Its like clearing NEET PG of India. Even after getting a MRCS and GMC registration, it is possible but very difficult to get a into a training post in the UK. Passing rate is usually between 60-70%. So you might have to give more than one attempts. It is quite an expensive exam by Indian standards.